Attorneys had argued the face on the stamp was unmistakably different from the original — more "fresh-faced," "sultry" and even "sexier"
A stamp that mistakenly featured the image of a Statue of Liberty replica in Las Vegas instead of the original New York Statue will cost the U.S. Postal Service $3.5 million in a copyright infringement lawsuit. 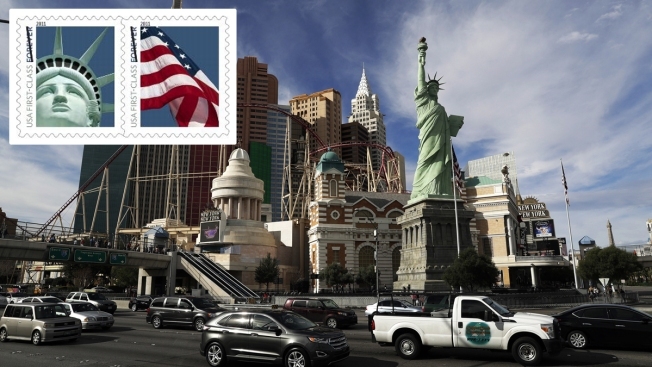 Las Vegas sculptor Robert Davidson, who created the replica Lady Liberty in the facade at the New-York-New York casino-resort on the Las Vegas Strip, sued the Postal Service five years ago over its 2011 "forever" stamp design. The stamp featured the face of his Lady Liberty, which his attorneys argued in court filings was unmistakably different from the original and was more "fresh-faced," "sultry" and even "sexier." The Postal Service had been releasing the stamps for at least three months before discovering it was not an image of the New York statue. 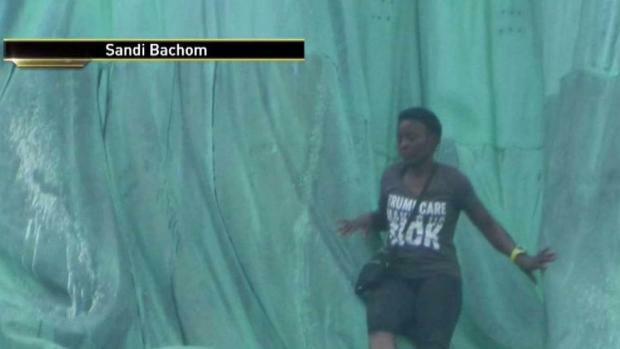 Police say 44-year-old Therese Patricia Okoumou apologized to officers for putting others in danger after she scaled the Statue of Liberty in protest. Michael George reports. Postal Service attorneys argued Davidson's design was too similar for him to claim copyright. Federal Judge Eric Bruggink sided with Davidson last week and agreed his work was an original design with a more modern, feminine and contemporary face. He ordered the Postal Service to pay $3.5 million to the artist — a slice of the $70 million the service made in profit from the stamp. Postal Service spokesman Dave Partenheimer said in an email that the agency was reviewing the decision and would comment "if and when appropriate." Todd Bice, Davidson's attorney, said in an emailed statement that his client was pleased that the court recognized the significance of his work. "As the court noted, Mr. Davidson's artistic creation of the Las Vegas Lady Liberty is highly unique and attractive, which is what prompted the US Postal Service to select a photo of his work for the second ever Forever Stamp, over hundreds of other images," he said. Court documents show Davidson said he wanted his sculpture, like the rest of the casino-resort's facade, to have the feel of New York's iconic skyline without duplicating it.